5 Nights at 5* Be Live Collection Son Antem Resort, Son Antem, B/B. 3 rounds of golf at: Son Antem East, Son Antem West & Golf Maioris. Car Hire x 5 days. Based on 2 persons sharing a twin room. 5 Nights at 5* Be Live Collection Son Antem Resort, Son Antem, B/B. 3 rounds of golf at: Son Antem East, Son Antem West & Golf Maioris. Car Hire x 5 days. Based on 2 persons sharing a twin room. The Balearic Islands are located off the Eastern coast of Spain in the Mediterranean Sea. They are made up of 5 islands; Mallorca, Menorca, Cabrera, Ibiza and Formentera. With the largest being the island of Mallorca, followed by Menorca and Ibiza. The Balearic Islands (Spain) have been a very popular holiday destination for young people and for years has enjoyed the title of the most visited island by young people seeking fun in the sun. However over the past few years they have also become popular in golfing terms as golfers from the UK and Ireland seek new locations and courses. As part of our commitment to providing the best golf holidays in Europe, CostaLessGolf.com now operates in the Balearic Islands. We provide the same high level of service in the Balearics as we do in Spain, Portugal and the Canary Islands. Our special offers and tailor-made packages will still provide you with the best value golf holidays including course fees, accommodation, car hire and much more. We	are	continually	expanding the choices available to you so if you would like to visit the Balearic Islands on a golfing holiday in an area not yet listed on our site, please get in touch and we will be more than happy to research the location and provide you with a cheap golf holiday in the Balearic Islands. If you have any questions regarding our cheap golf holidays or breaks in Balearic Islands (Spain) do not hesitate to get in touch with us to discuss how we can help you enjoy your Spanish golfing experience. Mallorca (Majorca), the largest of the Balearics and one of the top holiday destinations in Europe, attracts some six million visitors and holidaymakers a year. About 100 kilometres from east to west and 75 kilometres from north to south, Mallorca is an island of huge contrasts with bustling international tourist & holiday resorts in the south west and a beautiful, unspoilt mountainous region in the north. The capital, Palma de Mallorca, is fast gaining a reputation as one of the Mediterranean's most exclusive holiday destinations, with its impressive yacht marinas, world class shopping and enchanting old town full of charming restaurants and tapas bars, whilst nearby Magaluf is a magnet for package holidaymakers and fun-seekers. Most tourists head for the south of the island but those taking the time to explore the northern coast and inland areas will find a rural heartland virtually untouched by tourism and dramatic, rugged mountains concealing pristine deserted beaches. From the southeast tip of Mallorca (Majorca), you can take a boat trip out to the beautiful archipelago of Cabrera which has been declared a National Maritime Territorial park. The crystal clear waters here are a paradise for divers and snorkellers. With over 300 days of sunshine a year and less than 4 days of rain a month, the climate in Mallorca (Majorca) is perfect for a great game of golf and has long been a favourite destination for golfing holidays in Spain. 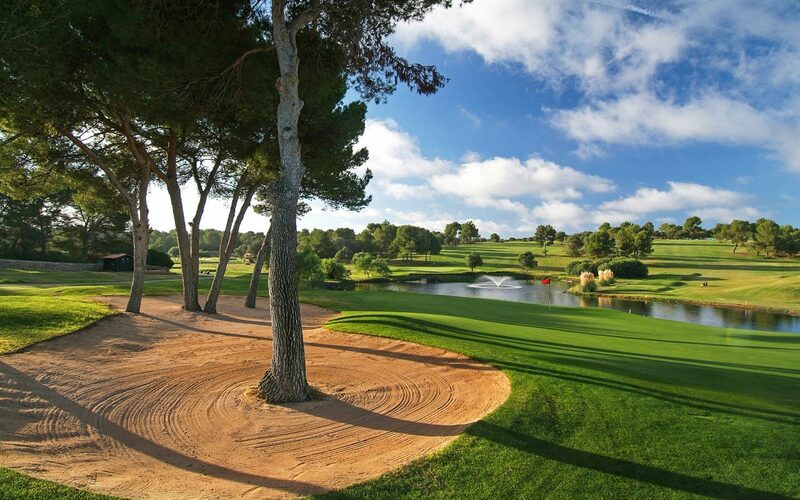 There are seventeen excellent 18-hole golf courses and two 9-hole golf courses to choose from and more in the planning stages as more and more golfers come to Mallorca to enjoy the world class facilities that make the island ideal for golf breaks in Spain. For example, the Andratx Golf Club was designed by the famous Gleneagles, Scotland, and opened in 2000. 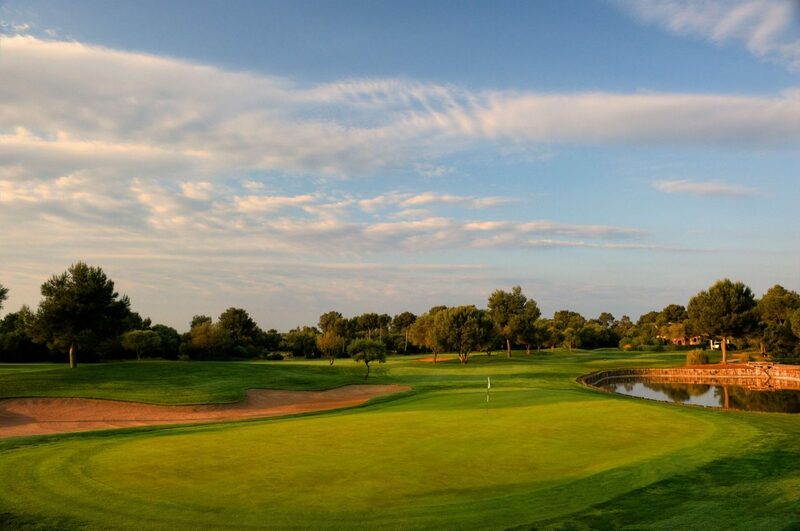 The 18 hole golf championship course is well known as one of the most difficult and challenging in Mallorca (Majorca), with fabulous scenery and sea views and a clubhouse that boasts a highly rated Italian restaurant. The Bendinat Royal Golf Course, just 7 km west of Palma and situated in a magnificent wooded valley offers another excellent option for golf holidays in Spain. Mallorca or Majorca is a very desirable year-round destination with the perfect mix of sun, sea and sand making it an exciting choice for golf holidays in Spain. 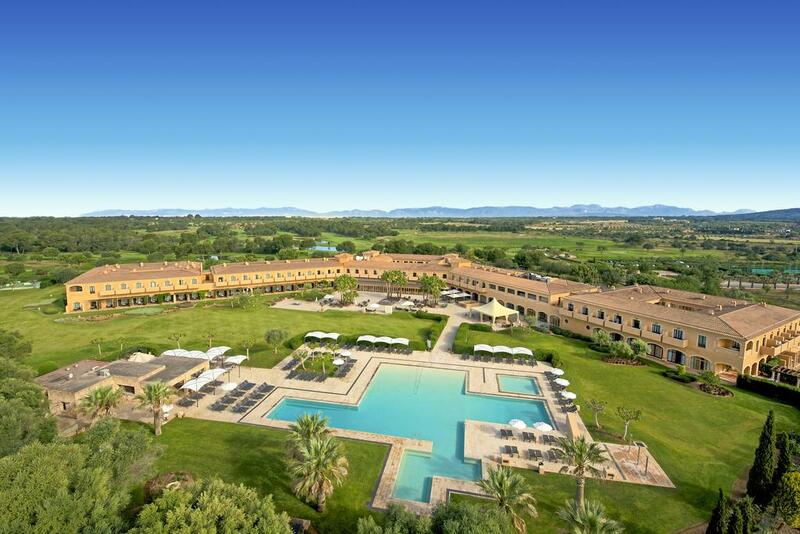 The spectacular sight of mountain ranges, beautiful regions of orange groves and olive trees and the authentic food of local villages add to the appeal of a golf break in Mallorca. The island has a wide range of accommodation to suit all tastes and budgets and there are various golf academies & golf special offers available by pre-booking your requirements. Mallorca is now firmly established on many golf tours and offers the discerning golfer an all year round challenge of championship standard golf courses and resorts. Stay in Magaluf, Palma Nova, Santa Ponsa, Portals Nous or even the capital of Palma and you will have eight excellent courses within a short drive. 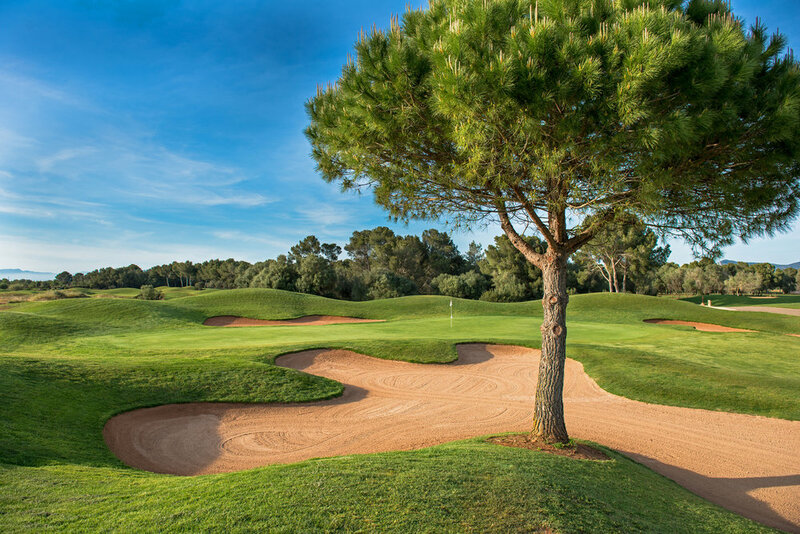 Spend your golf holidays in Mallorca in the relaxing, quieter and picturesque east of the island and you’ll find another five championship golf courses close to hand.